Iran's navy begins two-day drill amid tensions with the United States. Iran's navy on Sunday began an annual drill near the Strait of Hormuz, its first major exercise since the inauguration of U.S. President Donald Trump, The Associated Press reported, citing Iranian state television. 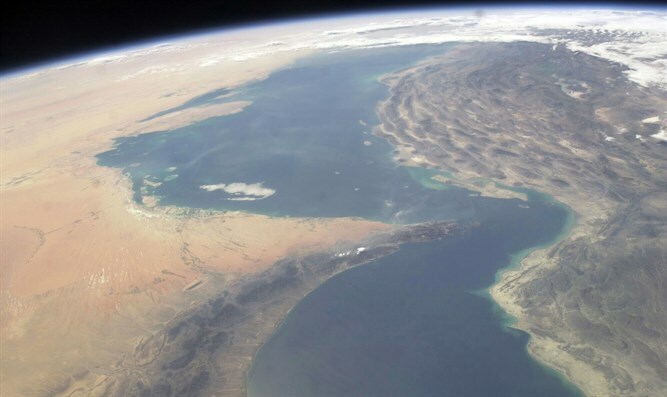 The TV report quoted navy chief Adm. Habibollah Sayyari as saying the two-day maneuver will cover an area of 2 million square kilometers (772,000 square miles) in the Sea of Oman and the Indian Ocean near the strait. The report showed Iranian warships and helicopters taking part in the exercise. The naval drill comes amid recent tensions between Iran and the United States. Last month, a U.S. Navy ship fired warning shots at Iranian boats near the Strait of Hormuz, after five Iranian vessels approached the USS Mahan and two other American ships that were entering the strait. In September, the U.S. Navy said that Iran had threatened two American maritime patrol aircraft flying over the Strait of Hormuz. A week prior to that incident, a U.S. Navy patrol ship was forced to change course after a fast attack craft from Iran's Islamic Revolutionary Guard Corps came within 91 meters of it in the central Persian Gulf. In addition to the tensions in the Gulf, Iran has escalated its rhetoric against the United States, after the Trump administration imposed new sanctions on the Islamic Republic in response to a ballistic missile test it conducted in violation of UN Resolution 2231. Iran has responded angrily to the sanctions, with the country’s Supreme Leader, Ayatollah Ali Khamenei, dismissing calls from the Trump administration to cease the country’s ballistic missile tests. In addition, Iranian officials have warned the United States against attacking Iran, with one senior official recently threatening his country would attack Tel Aviv if the United States "makes a mistake". The latest naval drill, noted AP, does not involve Iran's elite Revolutionary Guard. The U.S. Navy's 5th Fleet, based in Bahrain, declined to comment on the exercise or discuss if it had any plans to monitor the drill.